Location Делфинариум Варна | Imprint.BG - the only producer and operator of the popular souvenir machines for Bulgaria. The machine is place to the left of the shop for souvenirs. 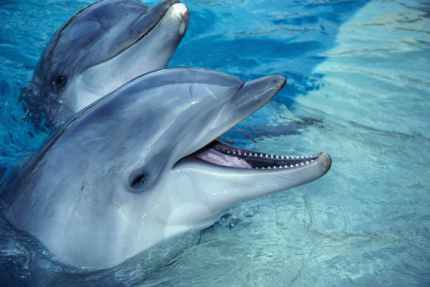 Festa Dolphinarium is the only attraction of its kind in Bulgaria. It is situated amidst the greenery of the Seaside Garden of Varna and offers a wonderful view over the sea. The Dolphinarium was inaugurated on 11.08.1984 and quickly became a symbol of Varna and a landmark of Bulgarian tourism. The Dolphinarium is a permanent site on the agenda of all visitors of the Black Sea coast. The building impresses with its futuristic structure and glass-and-aluminum front wall. The Dolphinarium building was designed by a team led by renowned architect Simeon Saraliev. The building itself is a light spatial structure shaped as a glass cube of walls 30 meters long and 14 meters high. Interesting is the fact that the earthworks at installation floor and pools were done after the bearing roof structure had been mounted.